One of the most difficult situations a person can go through is losing someone in their life. At times like these, they need the support from friends and family. Being able to send them a personal note of sympathies is very important. Receiving a letter, email or note of condolences expressing your sentiments and respects can go a great way comforting them. Below, we have put together some very useful tips on writing a letter of condolence. In many cases, people often choose to send a card to a friend or colleague during a death in their family. They may feel that it can be easier to send up a sympathy card. However, one of the most important things to remember is that taking a personal tone is the best way to go. While it can often be difficult for us to work up the courage to write a letter, it is more prudent. For anyone that has lost a loved one, receiving a handwritten letter will go a long way. It will tell them that you took time to actually handwrite a condolence letter or note. This will have a greater impact than any generic greeting card. Another positive aspect of a personal note is that it allows you to share more. You can bring up a special memory or event that may have happened between you and the deceased. In addition, it also lets you offer your support or help in the difficult coming weeks or months ahead. 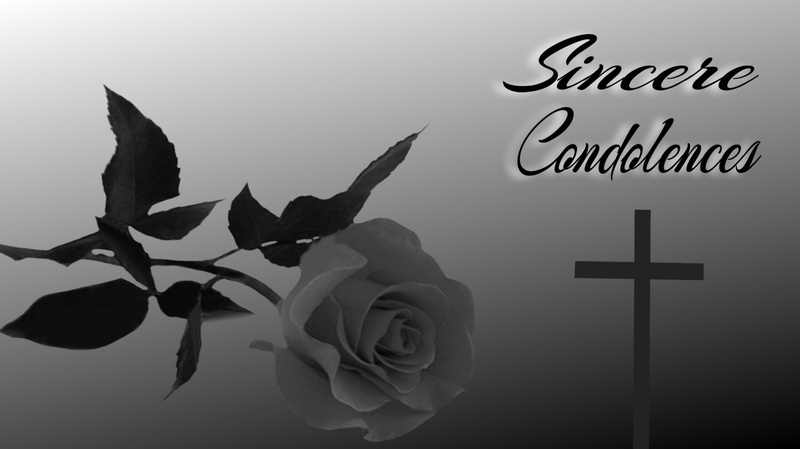 The first thing you want to make sure that the structure of your condolence letter has is the right tone. That tone needs to be sympathetic and intimate. Begin by expressing sorrow to the recipient for their loss. Make sure to use the departed’s name. This will make it personal and highlight your true sentiments. Some people may be hesitant to do this since it is hard to do. Yet there is no disputing the fact that someone has died. The recipient knows this and so do you. Besides, doing this will actually end up helping the bereaved a lot more. Your next step is using this time to mention any fond memory or experience you may have had with that person. In the event that you don’t have any, then be certain to mention how much losing the deceased means to them. Never send out a letter printed from a computer or typewritten. This will take away any aspect of it being personal. For those that find it easier using a computer, then simply write it out there. Once you are finished, then you can go ahead and use that to compose your handwritten version. There are no words that I can express to begin to tell you how deeply sorry I am to hear about ____________ passing. I (we are) am in shocked and profoundly hurt. My thoughts and prayers are with you and your family during these difficult times. If you would like, I can come by to help you with in any way I can. If there’s anything I can do, please don’t hesitate to call me. All I can do is remember how ___________ and I had so such great times during __________. I cannot begin to imagine how devastated you must feel. Once again, our thoughts and prayers are with you and I love you very much. In the day and age of computers and emails, the personal touch has become lost in many cases. This is why writing a personal handwritten note or letter is so important. Keep in mind to use your own voice or real feelings as this will make it sound and appear more sincere. In times like these, this is exactly what people facing difficult situations need. Lastly, make sure you send your letter or deliver it as soon as possible. Waiting to long or letting it be received too late, can make your message lost.